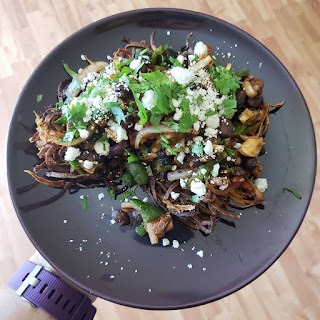 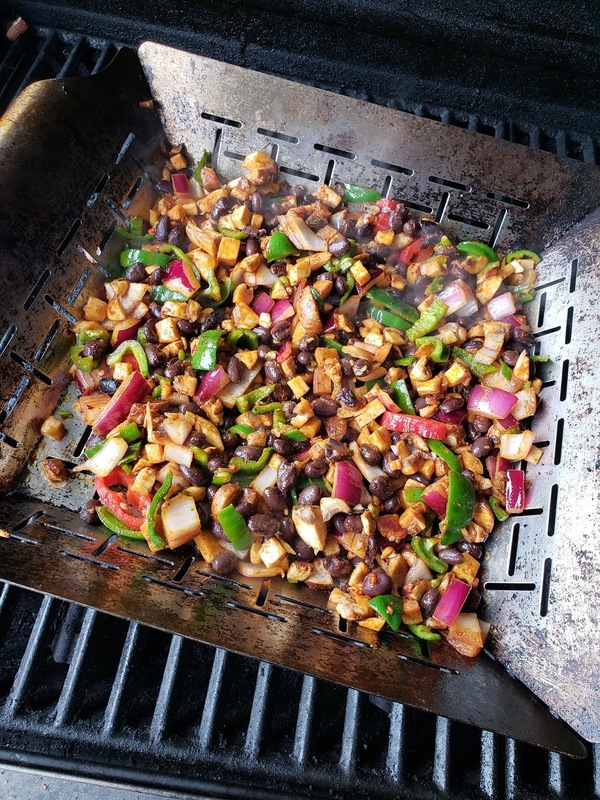 I was feeling inspired after eating some flavor packed vegetarian tacos in Over the Rhine and whipped together a new recipe - sweet potato pancake topped with a bomb vegetarian mix of black beans, poblanos, portabella mushrooms, onion, tomato, paprika, garlic, cumin, salt and pepper which was grilled in the basket for 3-4 minutes. 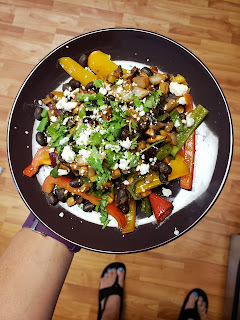 I finished it off with fresh cilantro and a sprinkle of feta cheese. This is a super flavorful and protein packed vegetarian meal with a blend of hearty flavors, a little heat from the poblano, crunchy from the sweet potato and softened by the feta. 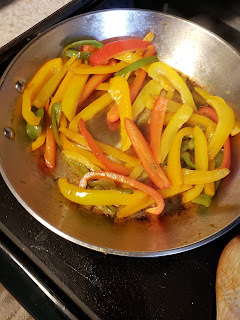 I also made it served over sautéed peppers and it was delicious.